How do I hang an F2 or F2X? A popular method of installing an F2 Modular or F2X Overhead lightbank is to suspend it from the ceiling. Because the installation height, as well as the buildings / studios for installation vary widely, Chimera does not offer any officially suggested method or recommendation of doing this, however we do offer a few examples and solutions that our customers have used successfully. We do not endorse any of the methods below but simply offer them as solutions our customers have found. Both F2X and F2 modular have four 1.25″ ends on each lower corner, that can be clamped to with a variety of clamps, including a Mafer / Super Clamp. Alternatively, slings that slip around these points are also possible. Suspending the lightbank and using ceiling-mounted electric motor hoists allow for adjustment of the pitch and pivot after being installed. Mechanical pullies have also been utilized as well. The F2 Modular features comaptibility with optional hanging brackets (part number #4960) which come in a set of 4. Evenly spaced throughout the F2 frame, these brackets feature a steel shackle, suitable for attaching a cable, pulley, or hook to. A number of purpose-built studio systems from Manfrotto, FOBA, or Hensel have been used by our customers, which we would recommend contacting. For installation, consulting a structural engineer or contractor is paramount for a qualified assessment of building before hanging any type of load. Listed below is the weight of our F2 Modular and F2X lightbanks with assembled frame, before adding lights. 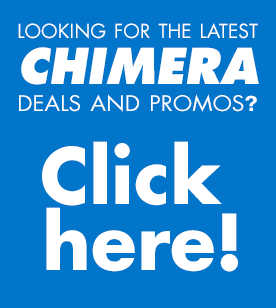 https://chimeralighting.com/wp-content/uploads/2017/08/chimera-lighting-logo-copy.png 0 0 Chimera Lighting https://chimeralighting.com/wp-content/uploads/2017/08/chimera-lighting-logo-copy.png Chimera Lighting2017-02-20 13:46:592017-07-03 13:38:30How do I hang an F2 or F2X? Where can I rent a Chimera F2X? How do I light the F2 or F2X?